If you don’t have the money or the space necessary to buy and accommodate a grand piano, electric digital pianos are the next best thing. The instruments mentioned below are the best digital pianos for under $500, yet they can still exceed your expectations when it comes to their performance and outstanding sound quality. The Williams Legato is an affordable and highly portable digital piano that is considered ideal for both performing and practicing. 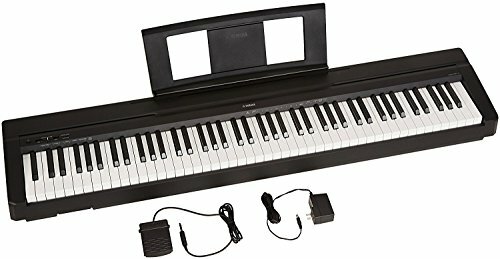 The piano comes with 5 different voices, piano, electric piano, organ, bass and synth, and it has a built-in metronome, speakers, stereo jacks and MIDI USB connectors. Reviewers consider this piano to be ideal for intermediate piano players and beginners. The 88-key Williams Legato is ideal for playing basically anything you want, the sound quality is above average, and even though it can’t get you to Carnegie Hall, it can definitely get you past the intermediate level. This Williams piano is slightly more expensive than the Legato but still a highly affordable piano. You definitely get your money’s worth with the 88 full-size, realistic, hammer-action weighted keys and the advanced modulation/FX control for vibrato effects. The piano also comes with a bright LCD screen, USB/MIDI connectivity and a unique, HD sound library. This is also a truly portable piano that weighs only 29 lbs, and even piano players with decades of experience handling a genuine grand piano can attest to the realistic feel of the Williams Allegro. Although it is light weight and easy to play it’s not the best keyboard for children and I would recommend one of the list in this article. With 88 fully weighted keys, 10 realistic voices and a unique dual mode that allows you to combine voices, the Yamaha P71 gives you a lot more than what you’ll pay for. This digital piano is designed not only for performing and practicing, but also for creating beautiful music as an aspiring composer. Some of the main highlights pointed out by both expert and beginning musicians who have used this Yamaha digital piano include its remarkable ease of use, authentic piano feel, lightweight portable construction, and its distinctive Yamaha sound engine with AWM Stereo Sampling. 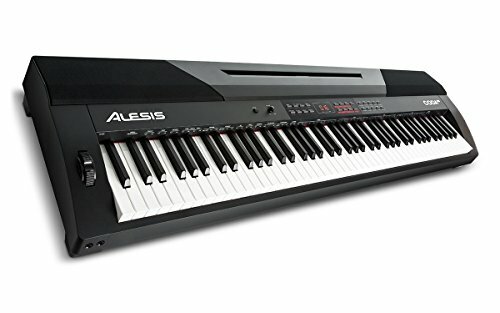 The Alesis Recital is one of the most affordable digital pianos on this list. It features 88 semi-weighted keys, four different modes, including one for beginners that features 128 max. polyphony, and many adjustable settings to help you add reverb, chorus and pedal resonance FX. The built-in metronome capable of adjusting accurately between 30 and 280 beats per minute, the loud 20 watt speakers and the handy “Lesson Mode” which makes learning the piano easier than ever, are some of the most loved features of this top rated affordable piano. Pros and beginners alike will simply love the Alesis Coda Pro. This outstanding 88-key hammer-action weighted keyboard features 20 voices, 60 built-in preset songs, a recording tool that allows you to record your own songs, as well as a unique duet mode featuring 50 accompaniment patters. 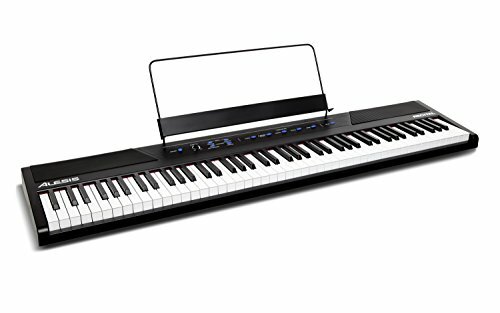 If you’re serious about learning to play the piano at a higher level, or you’re already a professional with years of experience, the Alesis Coda Pro should definitely be at the top of your list. The piano has everything you need from a grand piano (including genuine sound and feel), and it weighs no more than 28 lbs, so you can take it with you everywhere you go.